Faced with the prospect of a severe winter and snowfall in some of the colder parts of Japan preventing normal delivery methods, Domino's Pizza Japan has started training reindeer for potential winter pizza delivery starting in December. RocketNew24 reports that the company is currently conducting training exercises with the animals on the grounds of a driving school in the city of Ishikari city in Hokkaido, the north-most of Japan's islands. 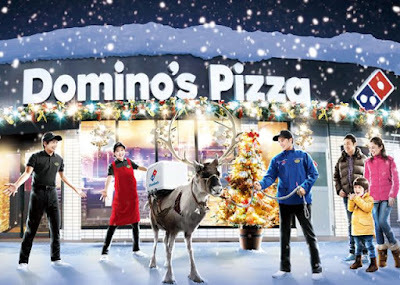 So far, details regarding the service are rather sparse, but Domino's plans to release more information on their reindeer pizza delivery on November 24, 2016. 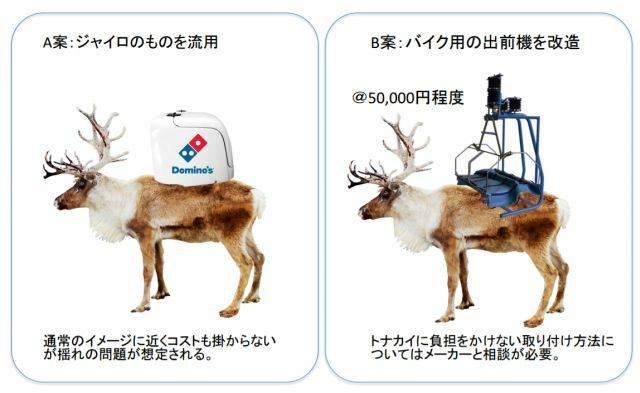 While the idea of reindeer delivery may seem like a hoax, it should be noted that this is the same company that has explored delivery by robot, drone, and canoe. Plus reindeer delivery shouldn't be all that different from (very) old-fashioned delivery by horse.